Virtual Architect 3D Home Design Software gives you powerful technology to view your designs in Photorealistic 3D. 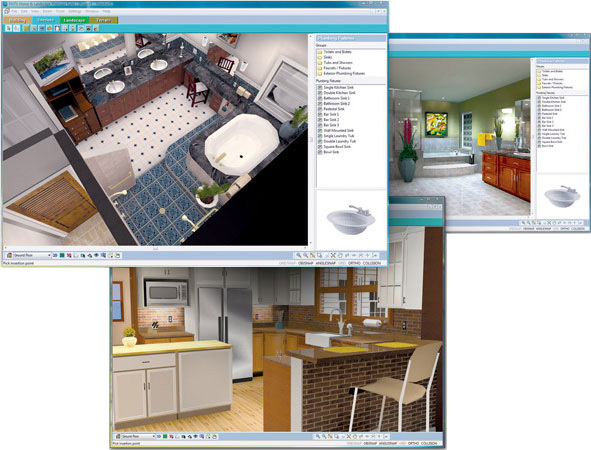 With Virtual Architect 3D Home Design Sofware, it’s as easy as the click of a mouse! 3D Real View: Exclusive technology that ensures photorealism - adds light, shadows, and reflections to a textured 3D view. Accurate natural lighting: Allows you to visualize your home’s interior and exterior at different times of the day. Powerful 3D animation: Allows you to record an actual 3D tour through your living space that you can play back anytime. 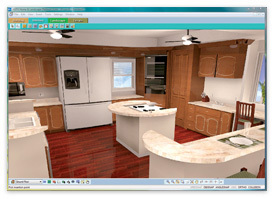 Virtual Architect Software allows you to easily view 3D Virtual Tours of your home designs!